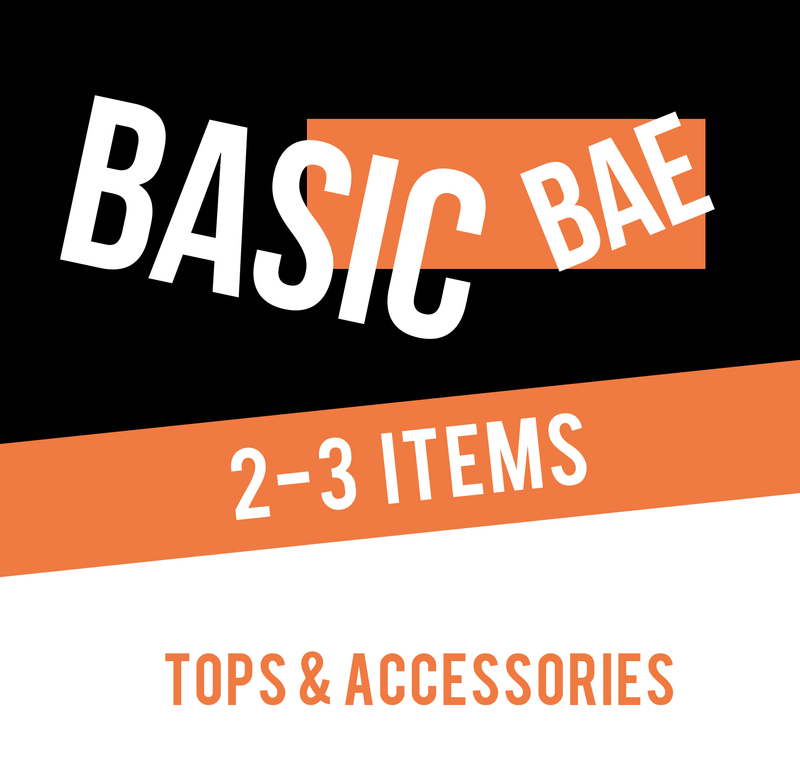 Our basic package comes with 2-3 items curated by one of our stylists. The items included range from T-Shirts, Tops, Socks and everything in-between. Items included are from top brands including Adidas, Puma, Alpha Industries, New Era, Mitchell & Ness, Vitaly and many more. 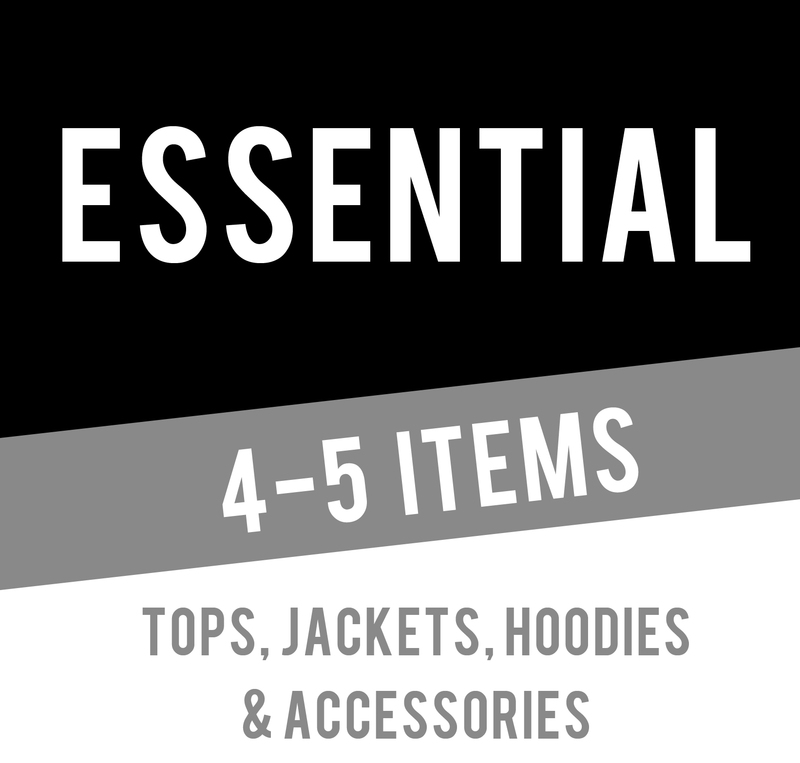 Our Essential package comes with 4-5 items curated by one of our stylists. The items included range from premium T-Shirts, Hoodies, Jackets, Pants, Joggers, Hats, Socks and everything in-between. Items included are from top brands including Adidas, Puma, Alpha Industries, New Era, Mitchell & Ness, Vitaly and many more. 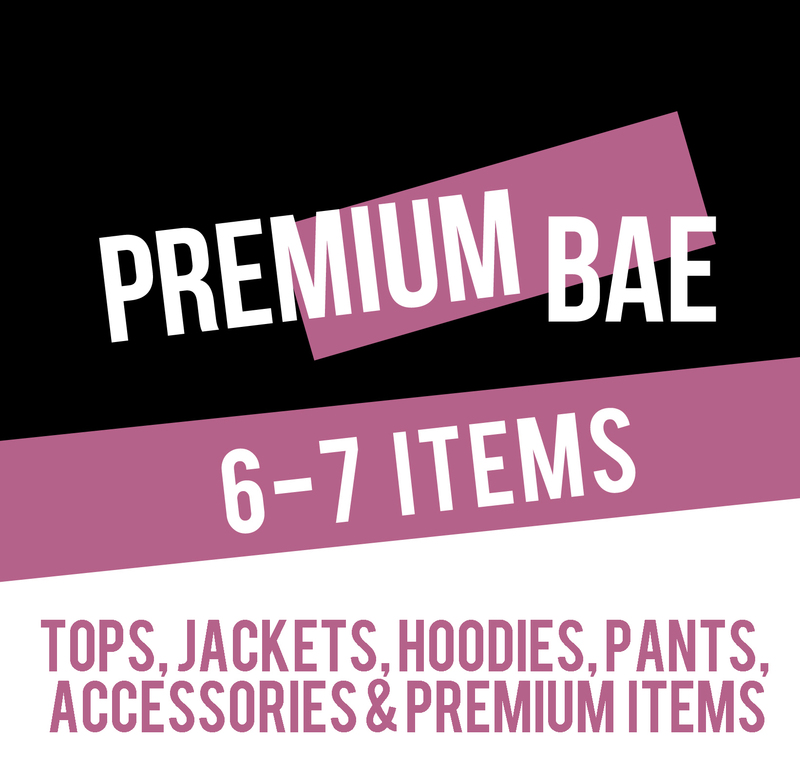 Our premium package comes with 6-7 items curated by one of our stylists. The items included range from premium T-Shirts, Pants, Joggers, Hoodies, Jackets, Hats, Socks and everything in-between. Items included are from top brands including Adidas, Puma, Alpha Industries, New Era, Mitchell & Ness, Vitaly and many more. 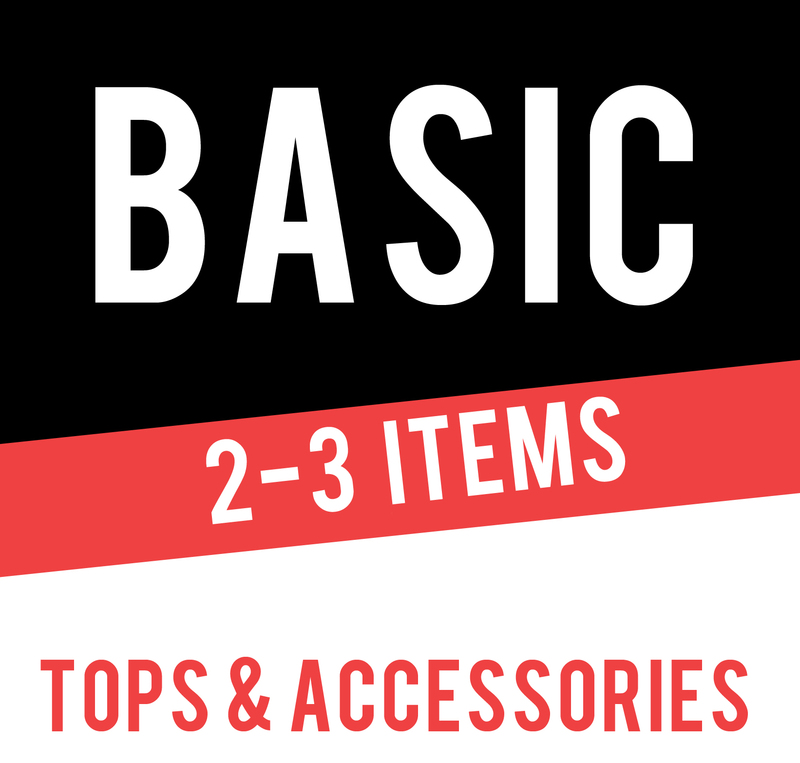 Our basic package comes with 2-3 items curated by one of our women's stylists. The items included range from T-Shirts, Tops, Socks and everything in-between. Items included are from top brands including Adidas, Puma, Alpha Industries, New Era, Mitchell & Ness, and many more. Our Essential package comes with 4-5 items curated by one of our female stylists. 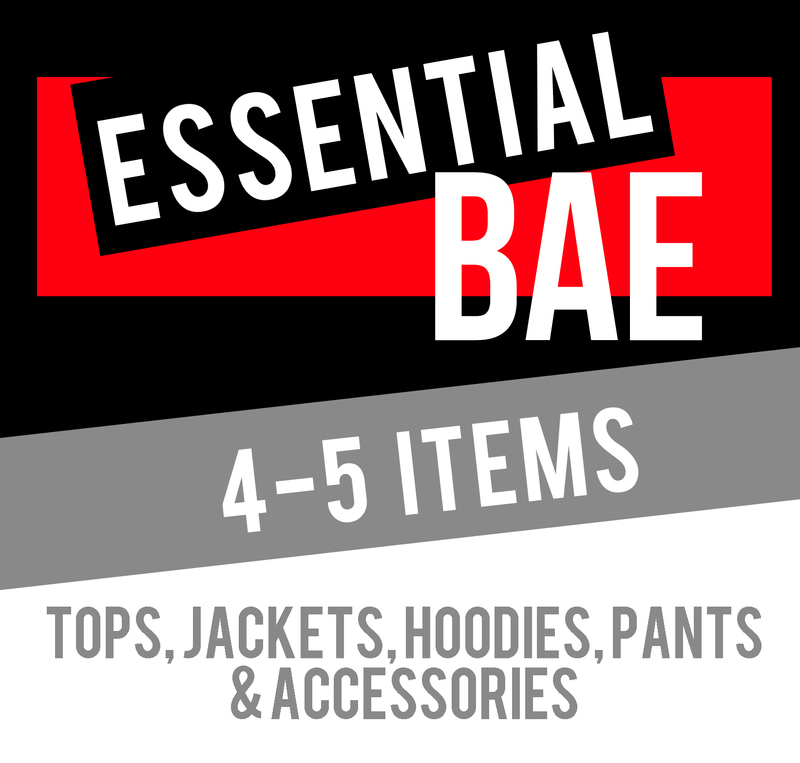 The items included range from premium T-Shirts, Hoodies, Jackets, Pants, Joggers, Hats, Socks and everything in-between. Items included are from top brands including Adidas, Puma, Alpha Industries, New Era, Mitchell & Ness and many more. 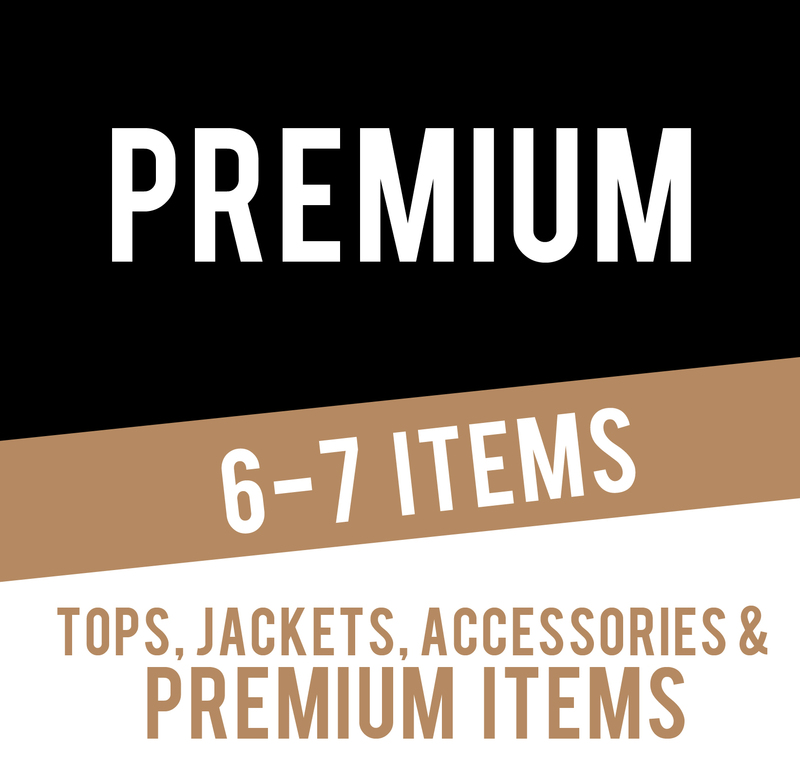 Our premium package comes with 6-7 items curated by one of our stylists. The items included range from premium T-Shirts, Pants, Joggers, Hoodies, Jackets, Hats, Socks and everything in-between. Items included are from top brands including Adidas, Puma, Alpha Industries, New Era, Mitchell & Ness and many more.